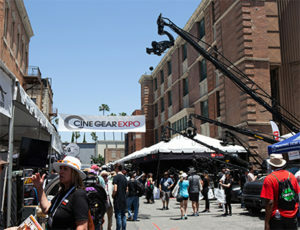 The twenty-fourth annual Cine Gear Expo will be returning to the historic Paramount Studios on May 30 – June 2, 2019 to hold its Hollywood show. 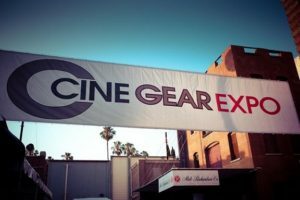 As one of the largest events of its kind, the Cine Gear Expo attracts over 16,000 professionals and dedicated specialists from all major industry departments including digital media, film, entertainment, Post production, sports and more. The studio is an ideal venue for creators to talk art and tech with peers, gear makers, rental houses, guilds, associations, trade journals and more. The show opens May 30th with the Film Series Competition that includes Student Short, Indy Short, Commercial and Music Video categories that are still open for submission. Exhibits displaying the latest production tools of the trade are open noon on Friday, May 31 from 12pm – 8pm, and 10am – 5pm on Saturday, June 1st. Visitors can also attend advanced film screenings, premiere seminars and presentations from respected industry organizations and top names in the business as well as a Master Class Series that starts on June 2nd for those who want to get caught up on the latest techniques. Free registration to attend will open mid-February. Links for submissions, registration, master classes and a full lineup of exhibitors, screenings and seminars for the Hollywood and Atlanta Expos are below.